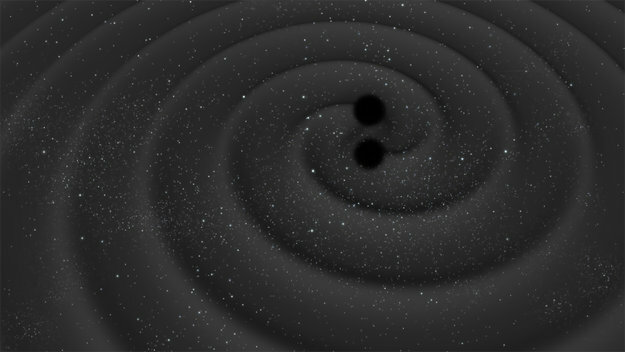 Predicted a century ago by Albert Einstein’s general theory of relativity, gravitational waves remained elusive until the first direct detection by the ground-based Laser Interferometer Gravitational-Wave Observatory in September 2015. That signal was triggered by the merging of two black holes some 1.3 billion light-years away. Since then, two more events have been detected. Furthermore, ESA’s LISA Pathfinder mission has also now demonstrated key technologies needed to detect gravitational waves from space. This includes free-falling test masses linked by laser and isolated from all external and internal forces except gravity, a requirement to measure any possible distortion caused by a passing gravitational wave. By converging in orbit, a pair of small satellites will open a new view on the source of the largest structure in the Solar System: the Sun’s ghostly atmosphere, extending millions of kilometres out into space. The two satellites together are called Proba-3, set for launch in late 2019. Through precise formation flying, one will cast a shadow across the second to open up an unimpeded view of the inner area of the ‘corona’, which is a million times fainter than the blindingly brilliant solar disc. “When I first heard of the idea I said ‘Wow! 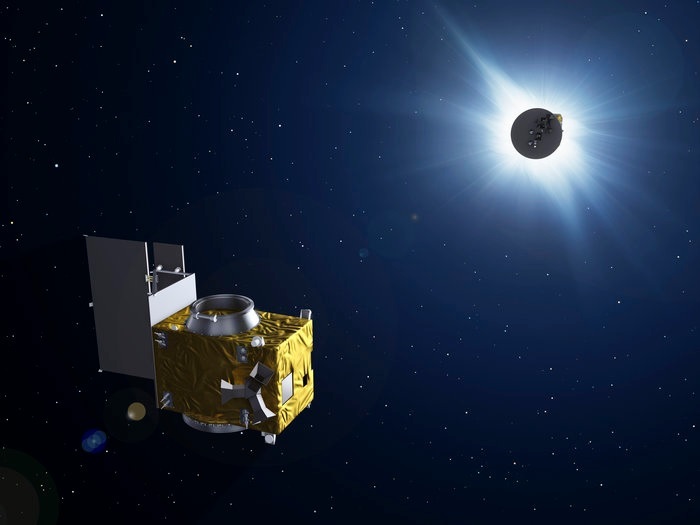 That’s just what we need’,” said Andrei Zhukov of the Royal Observatory of Belgium, serving as Principal Investigator for Proba-3’s solar instrument. “The best way to observe the corona from the ground is during a solar eclipse, although we still have to cope with stray light – we cannot correct for the influence of Earth’s atmosphere. “The next best method is by using ‘coronagraphs’ to create an articifical eclipse, either on ground telescopes or inside Sun-watching satellites such as SOHO and Stereo. “The problem is that stray light bending around the edge of the occulting disc limits our view of the most important inner portion of the corona. SOHO’s coronagraph, for instance, can observe no closer in than 1.1 Sun-diameters. Others can see closer, but with strong stray light making detailed observation impossible. “With Proba-3 we aim to see extremely close to the solar surface in visible light, by flying the occulter and coronagraph on separate satellites some 150 m apart. While the Sun’s surface is a comparatively cool 6000ºC, the corona averages a sizzling million degrees. The mystery is how energy travels from the cool Sun to the hot corona, in apparent defiance of the laws of thermodynamics. “By mapping the fine structure of the inner corona for a prolonged time – we are targeting around six hours – our hope is that we gain insight into the kind of energy flows that are taking place,” notes Dr Zhukov. “Our standard observing mode will be once per minute, but we could speed that up to a few seconds within a selected field of view, for instance when tracing the rapid evolution of a mass ejection. Proba-3 is first and foremost a technology demonstration, exploring the potential of precise formation flying in orbit, but achieving meaningful scientific results will also help to prove its approach works. WordPress is not fully functional at this point. 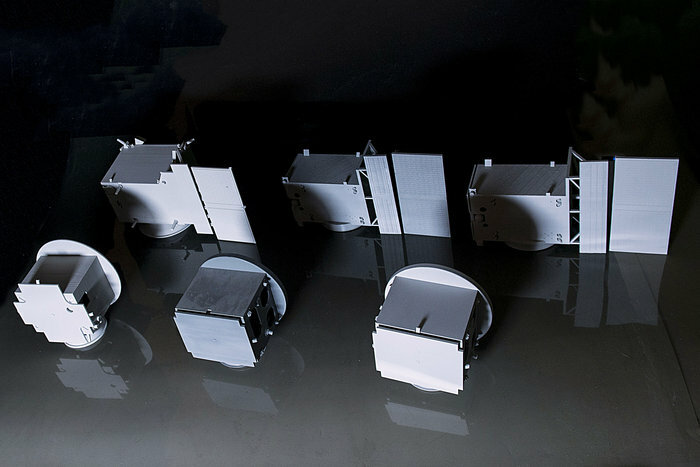 The design evolution of ESA’s Proba-3 double satellite is shown by this trio of 3D-printed models, each pair – from left to right – produced after successive development milestones. “These paired models, 3D printed in plastic, were not made for show,” explains Agnes Mestreau-Garreau, ESA’s project manager. “Instead, they’re used almost daily. Because Proba-3 will be the first precision formation-flying mission – with the two satellites flying in tandem– these models help the team to visualise their orientation, as well as to explain the mission easily to people. So the models have ended up somewhat battered as a result. The latest member of ESA’s experimental Proba minisatellite family, Proba-3’s paired satellites will manoeuvre relative to each other with millimetre and fraction-of-a-degree precision, intended to serve as the virtual equivalent of a giant structure in space and so open up a whole new way of running space missions. As has become traditional with Proba missions, the success of Proba-3’s technology will be proven through acquiring high-quality scientific data. In this case, the smaller ‘occulter’ satellite will blot out the Sun’s fiery disc as viewed by the larger ‘coronagraph’ satellite, revealing mysterious regions of our parent star’s ghostly ‘corona’, or outer atmosphere. When in Sun-observing mode, the two satellites will maintain formation exactly 150 m apart, lined up with the Sun so the occulter casts a shadow across the face of the coronagraph, blocking out solar glare to come closer to the Sun’s fiery surface than ever before, other than during frustratingly brief terrestrial solar eclipses. The challenge is in keeping the satellites safely controlled and correctly positioned relative to each other. This will be accomplished using various new technologies, including bespoke formation-flying software, GPS information, intersatellite radio links, startrackers, and optical visual sensors and optical metrologies for close-up manoeuvring. Fifteen ESA Member States are participating in the Proba-3 consortium, with SENER in Spain as prime contractor for the satellite platforms and Centre Spatial de Liège in Belgium as prime contractor for the coronagraph. “This grouping includes several of the newer ESA Member States, including the Czech Republic, Poland and Romania,” adds Agnes. 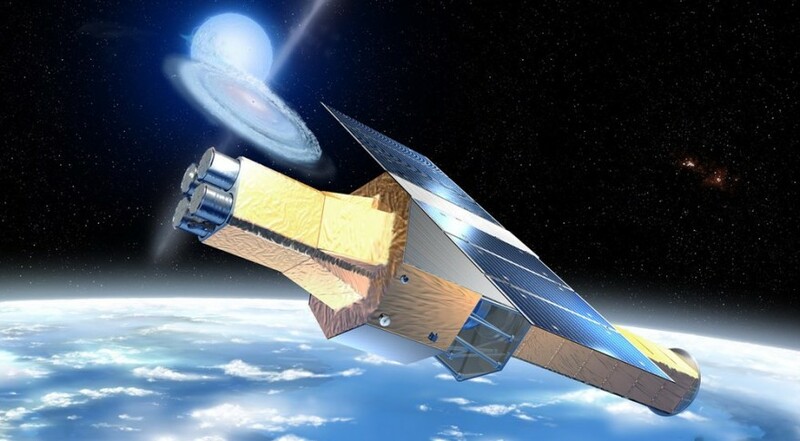 Proba-3’s next milestone will be the Payload Critical Design Review for its coronagraph, expected in the autumn followed by the System Critical Design Review for the mission. The two satellites will be stacked together for launch in 2019 before separating in orbit. See the full article here http://www.esa.int/spaceinimages/Images/2016/05/Models_of_Proba-3_designs. This snapshot of our constantly changing Sun catches looping filaments and energetic eruptions on their outward journey from our star’s turbulent surface. The disc of our star is a rippling mass of bright, hot active areas, interspersed with dark, cool snaking filaments that wrap around the star. Surrounding the tumultuous solar surface is the chaotic corona, a rarified atmosphere of super-heated plasma that blankets the Sun and extends out into space for millions of kilometres. This coronal plasma reaches temperatures of several million degrees in some regions – significantly hotter than the surface of the Sun, which reaches comparatively paltry temperatures of around 6000ºC – and glows in ultraviolet and extreme-ultraviolet light owing to its extremely high temperature. 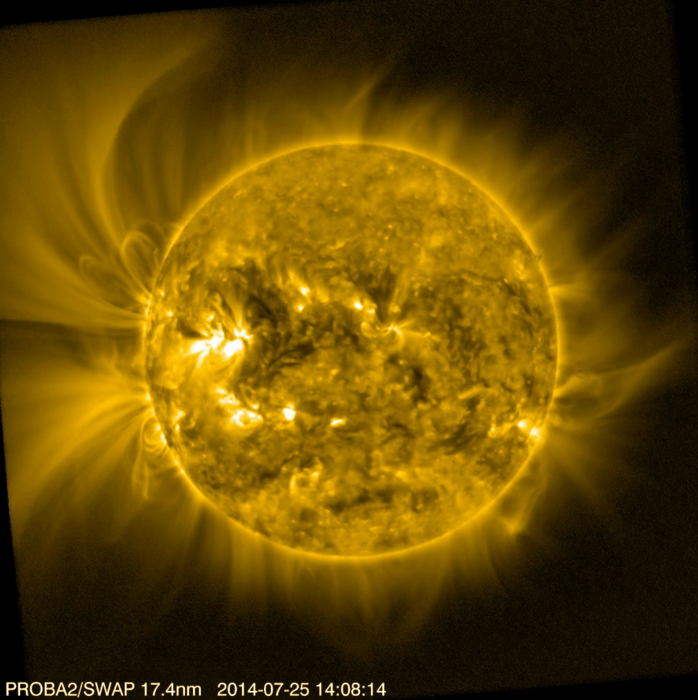 By picking one particular wavelength, ESA’s Proba-2 SWAP (Sun Watcher with APS detector and Image Processing) camera is able to single out structures with temperatures of around a million degrees. As seen in this image, taken on 25 July 2014, the hot plasma forms large loops and fan-shaped structures, both of which are kept in check by the Sun’s intense magnetic field. While some of these loops stay close to the surface of the Sun, some can stretch far out into space, eventually being swept up into the solar wind – an outpouring of energetic particles that constantly streams out into the Solar System and flows past the planets, including Earth. Even loops that initially appear to be quite docile can become tightly wrapped and tangled over time, storing energy until they eventually snap and throw off intense flares and eruptions known as coronal mass ejections. These eruptions, made up of massive amounts of gas embedded in magnetic field lines, can be dangerous to satellites, interfere with communication equipment and damage vital infrastructure on Earth. Despite the Sun being the most important star in our sky, much is still unknown about its behaviour. Studying its corona in detail could help us to understand the internal workings of the Sun, the erratic motions of its outer layers, and the highly energetic bursts of material that it throws off into space. Two new ESA missions will soon contribute to this field of study: Solar Orbiter is designed to study the solar wind and region of space dominated by the Sun and also to closely observe the star’s polar regions, and the PROBA3 mission will study the Sun’s faint corona closer to the solar rim than has ever before been achieved. 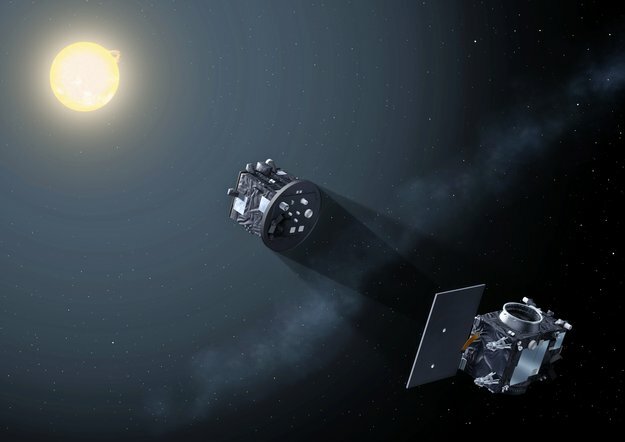 A pair of satellites flying in close formation to cast an artificial eclipse is now being turned into space-ready reality by ESA’s industrial partners. The latest member of ESA’s Proba minisatellite family will begin its ambitious mission in about four years’ time. Two satellites will be launched together then separate to fly in tandem, going on to experiment with high-precision formation-flying techniques. As has become traditional with Proba missions, the success of Proba-3’s technology will be proven through acquiring high-quality scientific data. In this case, the ‘occulter’ satellite will blot out the Sun’s fiery disc as viewed by the ‘coronagraph’ satellite, revealing mysterious regions of our parent star’s ghostly ‘corona’, or outer atmosphere. The Sun is a million times brighter than its surrounding corona, so eclipsing it is essential for coronal studies. 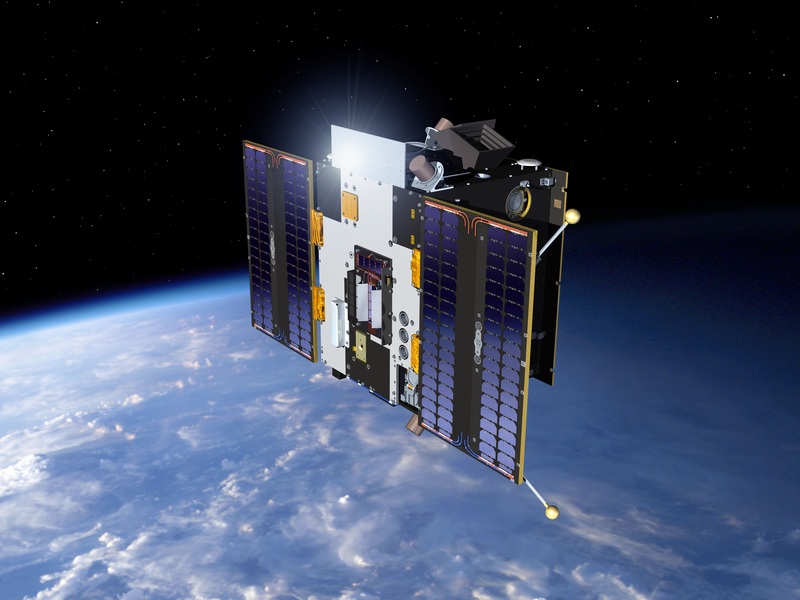 “For these studies, the satellites will fly 150 m apart with millimetre and fraction-of-a-degree precision,” explains Agnes Mestreau-Garreau, ESA’s Proba-3 project manager. “The technical challenge will be keeping them safely controlled and correctly positioned relative to each other. Flight data gathered from Proba-3 can then guide the programming of simulators, opening the way to designing and evaluating a wide range of formation-flying missions to do all the tasks of a virtual large single satellite. On the scientific side, the shadow cast from one Proba-3 satellite to the other will give a sustained view of close-up regions of the solar corona. Usually, these segments are visible only for brief moments during terrestrial solar eclipses. Effectively, the two satellites will form a single ‘giant coronagraph’ in space. Proba-3 offers to address various enigmas, such as the fact that the corona, at upwards of a million degrees in temperature, somehow remains much hotter than the Sun’s 6000°C surface. 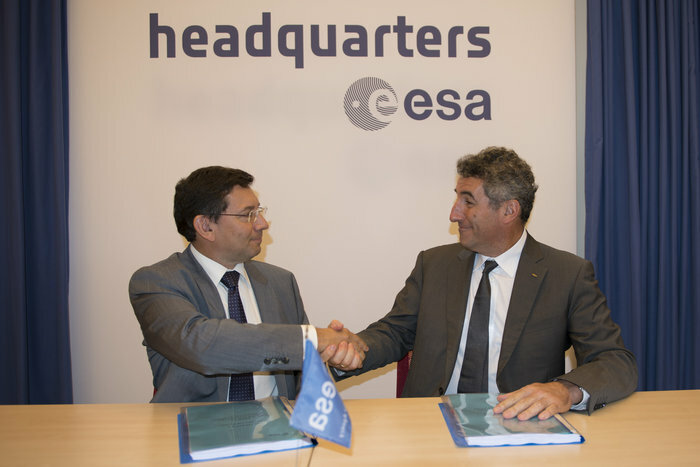 ESA Paris on 11 July hosted the contract signing for the Proba-3 mission, between Franco Ongaro, ESA’s Director of Technical and Quality Management, and Diego Rodriguez, Space Department Director of Spain’s Sener. 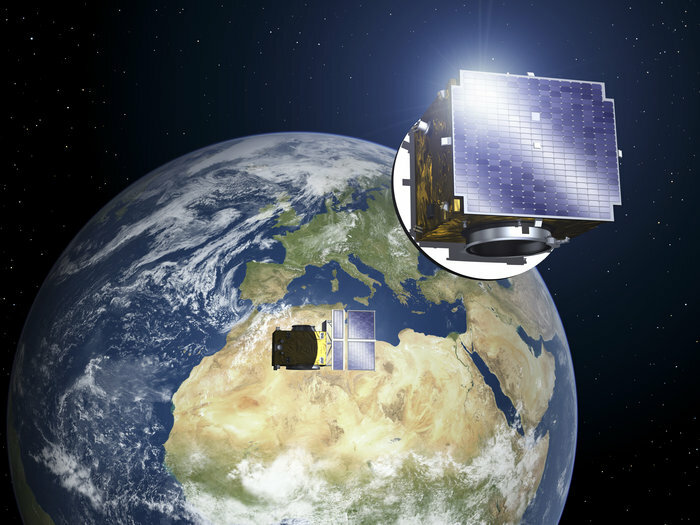 On 27 November, the contract for Proba-3’s scientific payload was signed byFranco Ongaro and Thierry Chantreine, General Manager of Belgium’s Centre Spatial de Liège, at ESA’s ESTEC technical centre in Noordwijk, the Netherlands.